Dying to know how the pros mix drinks that look amazing and taste even better? Jimmy Dymott has been in the industry since the emergence of the modern cocktail bar, and he knows that hard work and the best ingredients are the true secrets to success behind the bar. Jimmy Dymott shares sixty of his favorite and most impressive cocktails, from classics like the Old Fashioned and the Gin Fizz, to modern favorites like the Juicy Fruit. He includes recipes for drinks invented at his own barswith mint, passion fruit, and fresh ingredients, they’re always in high demand. Dymott explores the history of each drinksome spanning from eighth century Persia to the American South in the 1800s. Plus, he offers the tools needed to make each drink pro, the types of bars out there to emulate, and great stories from Dymott’s fifteen years in the cocktail scene. 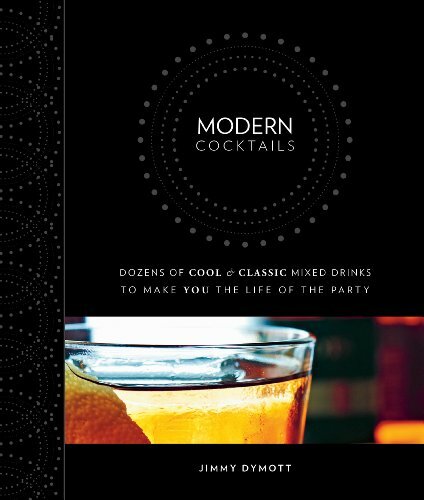 Modern Cocktails is the insider’s introduction to the ingredients, the recipes, and the culture behind the top industry bar.